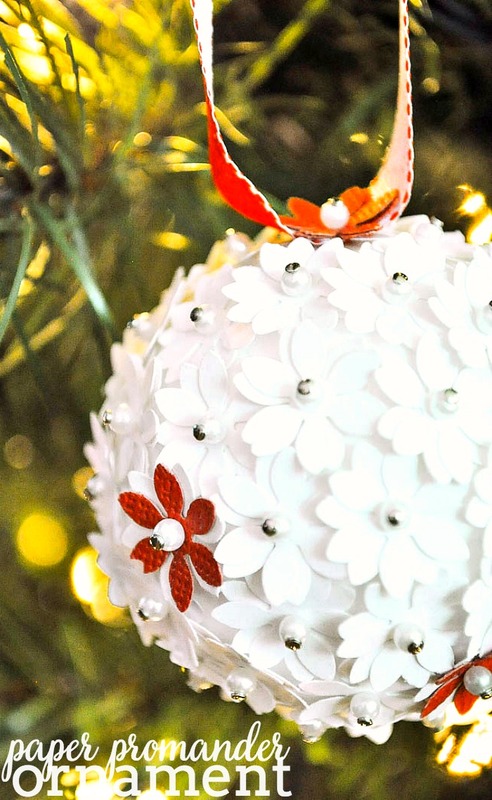 Simple and beautiful Snowflake Joy Christmas Ornament! I have never made my own ornaments. 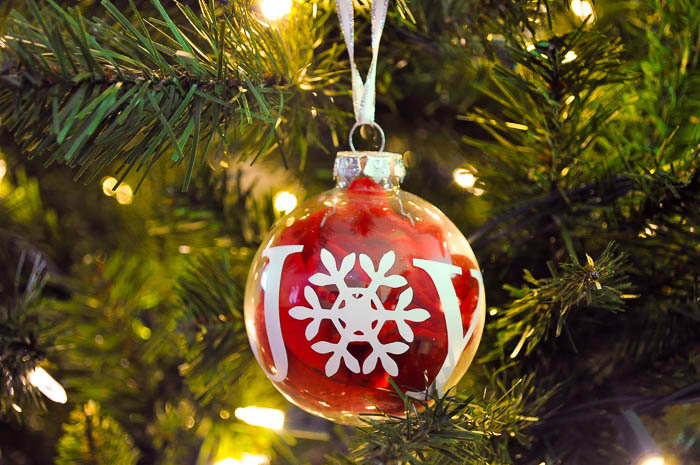 Making ornaments has always been a little intimidating because there are some gorgeous handmade ornaments. I didn’t know where to begin, but I really wanted to break into the Christmas ornament making world this year. 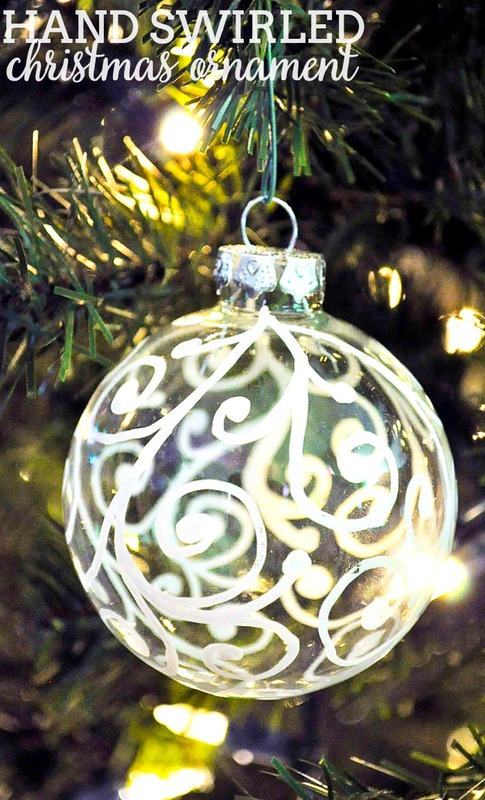 My goal was simple projects – ornaments that would take me about 10 minutes and were fairly inexpensive. 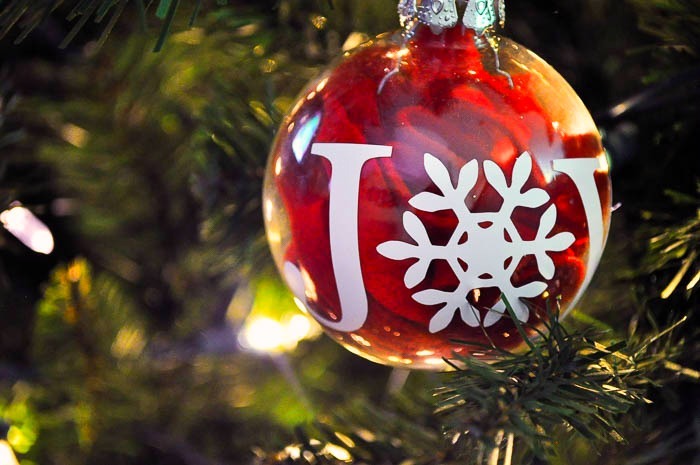 Ornaments like this Joy Snowflake Ornament! 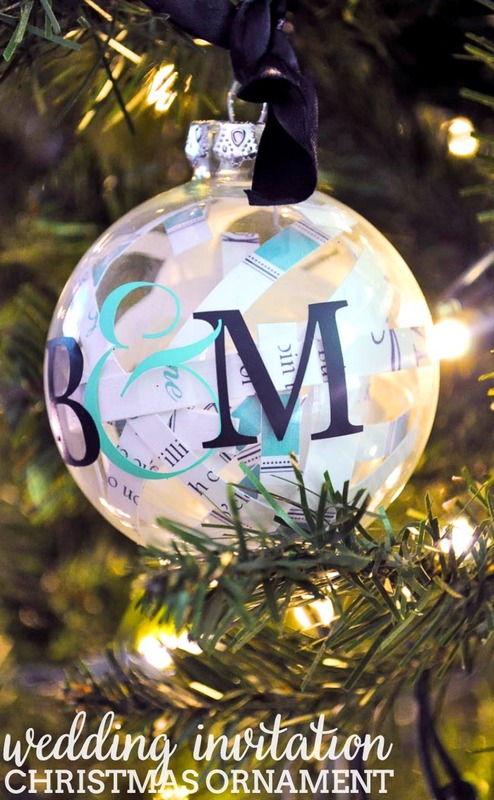 I will be sharing a Christmas ornament with you every day for the rest of the week so keep an eye out for them! I had extra red felt from my Santa Wreath so I decided to cut a little bit into thin strips and put it inside the ornament for a colorful filler. I used about a quarter of an individual felt sheet but add to your heart’s content. Then, I used my Silhouette machine to cut out JOY in white vinyl to put on the outside. I LOVE snowflakes so I use a snowflake for the “o”. If you don’t have a craft machine or vinyl, you could also handwrite the design on the outside with a painters pen. Thanks, Linda! I was super happy with how it turned out, especially since i didn’t use any craft bells and whistles to glam it up. That is so cute! I bought some ornaments to make our own and I’m excited to try them out. This is such a cute idea! 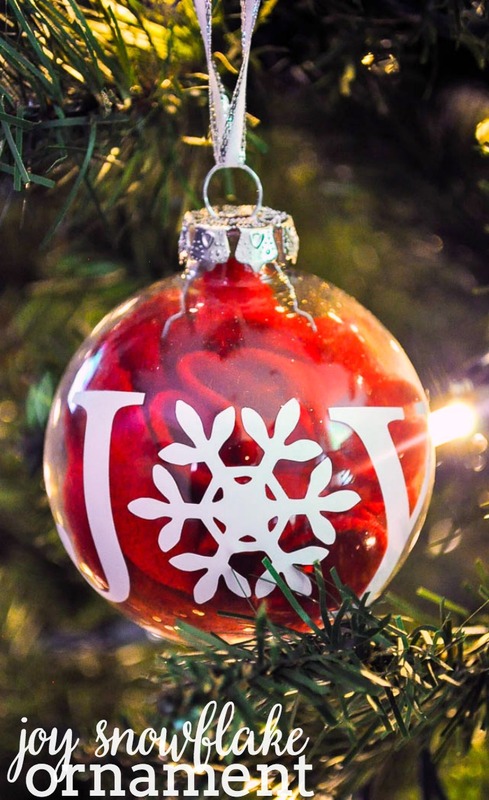 I love the snowflake as the “O” The possibilities are endless to fill the ornament! Pinning! Thanks, DeDe! I am a huge snowflake fan so I thought it would be fun.